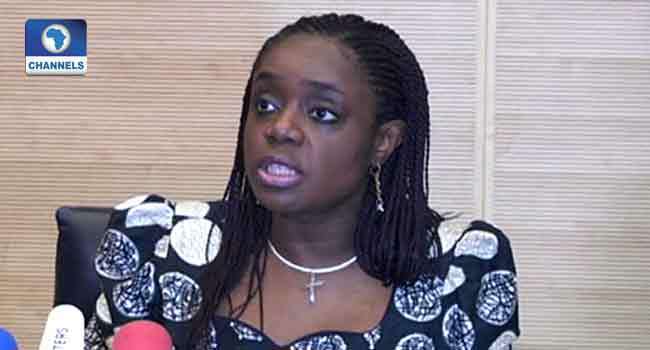 The Federal Government has disbursed N668.898 billion to the three tiers of government for the month of May, despite the impasse in the Federation Accounts Allocation Committee (FAAC). Director of Information at the Federal Ministry of Finance, Hassan Dodo, revealed this in a statement on Friday in Abuja. He explained that the sharing of revenues for May, which was meant to be distributed in June, was put on hold because of the disagreement on remittances by the revenue generating agencies, especially the Nigerian National Petroleum Corporation (NNPC). Dodo added that the money was distributed due to the urgent need to cushion the undue hardships being experienced by workers nationwide. He, however, said the government was intensifying efforts to address the unsatisfactory remittances. According to the director, the N668.898 billion is made up of the statutory distributable sum of N575.475 billion and N93.423 billion from the Value Added Tax (VAT). He said, “The total revenue realised for the month, was shared in line with the extant formula as follows: Federal Government – N282.223 billion; State Governments – N181.167 billion; and Local Government Councils – N136.490 billion. Dodo revealed that the statutory revenue of N575.475 billion received for the month of May was lower than the N613.057 billion received for April by a total of N37.582 billion. He noted that from the total statutory revenue of N575.475 billion, the Federal Government was given N268.770 billion, the states – N136.324 billion, Local Government Areas – N105.100 billion, the oil-producing states – N53.071 billion, while the revenue generating agencies received N12.210 billion as costs of collections. “For the month of May 2018, the total revenue of N93.423 billion from the Value Added Tax (VAT) was N5.458 billion higher than the N87.965 billion distributed in April 2018. “From the total of N93.423 billion, the Federal Government received N13.453 billion; the states received N44.843 billion; the Local Government Councils received N31.390 billion, while N3.737 billion was received by the revenue collecting agencies,” the director said. The monthly FAAC meeting held in June had ended in a stalemate as a result of the disagreement on remittances by the revenue generating agencies. The controversy continued as the Nigeria Governors’ Forum (NGF) faulted the remittances from the NNPC, saying they were inaccurate. Briefing reporters after the governors met on Wednesday in Abuja, NGF Chairman and Zamfara State Governor, Abdul’Aziz Yari, queried the amount the NNPC claimed to have used for the payment of petroleum subsidies. He said the governors resolved that until the agency corrects the discrepancies in the amount remitted to the Federation Account, the states would not share the money.